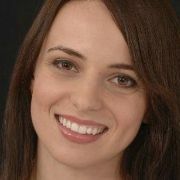 Arina O. Grossu, M.A., M.S. Bioethics, is director of the Center for Human Dignity at the Family Research Council, where she focuses on sanctity of human life issues, ranging from conception to natural death. Planned Parenthood does not offer any women’s health services that are not offered by other health care centers. None. 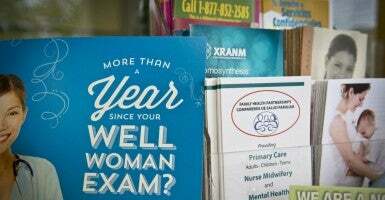 The same services it provides are abundantly available, especially serving low-income individuals in urban and rural locations, while at the same time these alternative facilities don’t perform abortions. Federally Qualified Health Centers (FQHCs) and Rural Health Clinics (RHCs) offer comprehensive women’s health care that puts Planned Parenthood to shame. States, along with Congress, must defund Planned Parenthood and make available the $528 million in taxpayer funds it receives currently to the work done by Federally Qualified Health Centers and Rural Health Clinics. What Does Planned Parenthood Really Provide? Planned Parenthood boasts that it served 2.7 million patients last year, but FQHCs alone served 21.1 million. That’s about eight times more clients. Taking on the extra 2.7 million would impose no burden on these FQHCs and RHCs. Rather, it would help them grow. There are 665 Planned Parenthood facilities compared to the 13,540 comprehensive women’s health clinics. Planned Parenthood continues to fall off of the health care map with reductions in its facility numbers. At its height in 1995, there were 938 Planned Parenthood facilities; the 20-year difference is a loss of 271 centers, a 29-percent decrease. Today, there are 20 comprehensive care clinics for every Planned Parenthood. The Charlotte Lozier Institute and Alliance Defending Freedom created national and state-by-state maps comparing the locations of the comprehensive clinics to Planned Parenthood facilities. In its most current report, Planned Parenthood lists the following categories for services it offers: STI/STD testing and treatment, contraception, cancer screening and prevention, other women’s health services, abortion, and other services. What the report fails to show, compared to Planned Parenthood’s own reports from the last several years, is that such services as cancer screening, prevention programs, and prenatal services have dropped by half, while abortion numbers remain up. Breast exams have dropped by 41 percent in the last several years as well—and by the way, Planned Parenthood provides zero mammograms. While its other services—excluding abortions—continued to drop in 2013-2014, Planned Parenthood reported an excess of revenue over expenses of $127.1 million. This is a revenue increase of $40 million from 2012—with approximately 40 percent of its profit coming from abortions. Cecile Richards also brings home a fat sum of $590,000, a salary increase of 40 percent since 2011. The average salary for a top Planned Parenthood employee is $345,338. Now let’s compare Planned Parenthood’s services with the much more comprehensive and robust services offered by FQHCs and RHCs. The Medicare Benefit Policy Manual and this flyer for FQHCs and RHCs lists the multiple-covered services under Medicare for qualifying individuals. So what will happen when Planned Parenthood is defunded of over half a billion taxpayer dollars? The money will support the growth and development of FQHCs and RHCs to continue their important work and give Planned Parenthood’s 2.7 million clients much greater access to comprehensive health care. This Students for Life video aptly summarizes the positive effects of defunding Planned Parenthood. The argument that we somehow need Planned Parenthood is a desperate public relations campaign by America’s abortion giant. Can anyone name one service that can be obtained at Planned Parenthood that cannot be obtained elsewhere? Not only can we do without Planned Parenthood, but we are better off without it. We must urge Congress and states to defund Planned Parenthood so that over half a billion taxpayer dollars will be available to health clinics that actually cover comprehensive health care for women, men, and children.